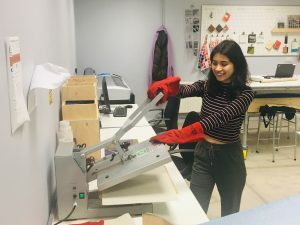 STEAMmates: Meet Tamara Sarrate – STEAMhouse member, Birmingham City University graduate and local innovator who’s pushing boundaries with fashion and the environment. 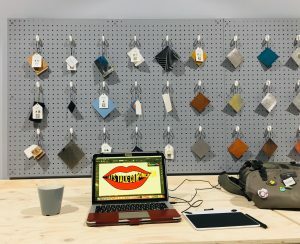 We’ve caught up with Tamara, to see how STEAMhouse is benefiting regional creatives. Hi Tamara, thanks for taking the time out of your project to speak with us today, can you tell us a little about yourself and what you are working on? I live in Digbeth and love Brum because of the creative scene, it also doesn’t have the hustle and bustle of the capital, it’s like a calm London. 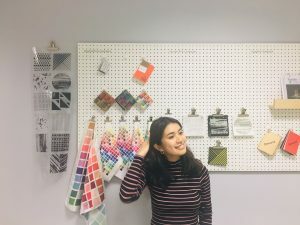 Whilst studying fashion at Birmingham City University I was drawn to fashion as an art but found myself in an industry which I didn’t agree with the principles of. I did many internships but still didn’t feel I fit in, ethically there are many issues with the industry such as clothing landfill, the case of toxic dies that end up in village rivers and cause cancers and children with deformities. A lot of the time in poor countries there are dormitories underneath factories where people live to work in the factories. 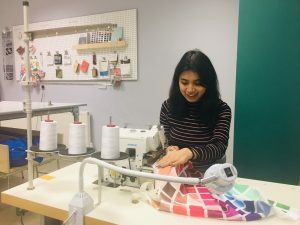 There are also environmental issues too, like the materials made by plastics, the fact that there are twelve seasons to a year of clothing in a high street shop – many unsold items are wasted and sent to landfill. 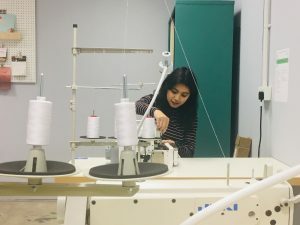 I thought there must be an environmentally aware fashion company around – but I couldn’t find one – so I started my own social enterprise – ‘Here’s real‘. 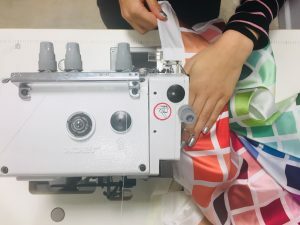 We aim to educate and challenge people on issues such as fast-fashion and we facilitate situations where people can access more ethical areas of fashion. We believe that ethical fashion can be accessible to everyone as long as it’s more approachable than the alternative. There are so many free tote bags at fairs and events, for example, and the illusion is that cotton is a sustainable fabric but actually the tons of water that goes into material makes it not very sustainable as a product. They are also annoying – you can’t really organise or see what’s in your bag. So, I wanted to create an ethical shopping bag that would solve any packing issues and be made from eco-conscious materials, helping you to shop with more ease – whether you’re a zero waste shopper of supermarket visitor. 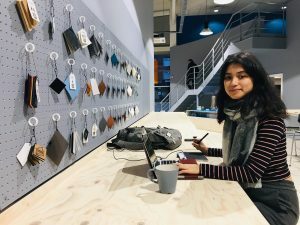 Creating a product which is both useful for the person investing in it but also reduces carbon footprint and enables garment makers in poorer countries to go on strike and negotiate a better pay. What an impact that could have! Can you tell us how STEAMhouse came into your thinking? I walked past and saw a colourful and inviting building, I’m quite nosey so I popped my head in. Next thing I went on a tour and now here I am! I initially started on the business route, we housed swap shops for a year in the Birmingham area, we were assessing culture, peoples attitudes to ethical fashion and whether or not people having access to cheap, guilt-free shopping would solve a piece of the problem. I want to gather as much information from people as possible and get an idea for peoples shopping habits at the moment. There are some little niggles that could be made just that bit easier, we want to know just what those niggles are. If you’re a regular shopper, you can help me in my research by completing ’11 clicks to reduce plastic waste’ here and have a little rant – share your niggles. Look into any funding opportunities you can; banks, STEAMhouse, entrepreneur programmes, tech and creative funding, and STEAMhouse is a really great space to flourish. Thanks Tamara, we look forward to seeing what unfolds for you and your work.